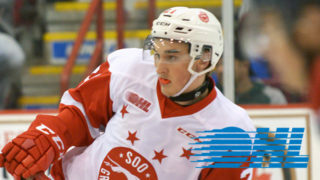 A solid start and a flurry of goals late lifted the Soo Greyhounds to a big win at home as the Ontario Hockey League regular season winds down this week. 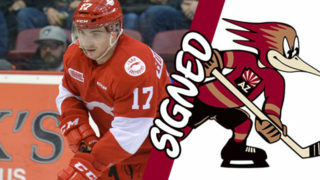 The Greyhounds scored three times in the first period before adding five more goals in the third period in an 8-1 victory over the Saginaw Spirit at the Essar Centre on Wednesday night. The win opens a three-game homestand for the club that will bring the regular season to a close on Sunday. In addition to a pair of power play goals on three man advantages in the win, the Greyhounds also held the Spirit off the scoresheet on their six power plays in the contest. The kills included a lengthy 5-on-3 in the second period. 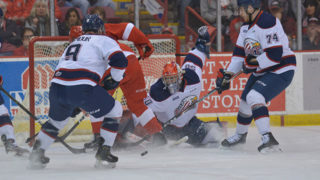 “Our penalty kill, especially on the five-on-three, did an excellent job,” Bannister said. 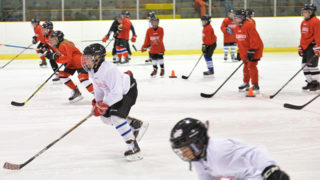 Morgan Frost paced the Greyhounds with a goal and two assists while Barrett Hayton set up three goals. The Greyhounds continue their home stand this Friday Night, March 16, when they host the Flint Firebirds. Game time is 7:07 PM and presented by Home Depot. 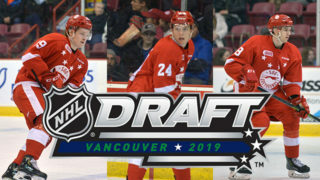 Great tickets are still available by visiting the SK Group Box Office (inside the Essar Centre), online at www.essarcentre.ca or by phone at 1.866.775.9422. The deadline for Season Ticket holders to opt into the 2018 Playoff package is this Sunday, March 18th. 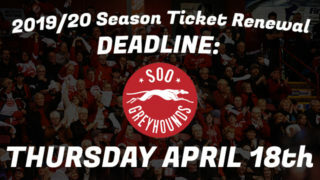 To guarantee your seats for the post-season please visit the SK Group Box Office inside the Essar Centre – 10 AM to 5 PM Thursday or Friday, 10 AM to 2 PM on Saturday.